So lets play a game. Which of the three items below contains the most sugar? How many people said “the can of coke, obviously!”? Well it’s not quite as straightforward as you might think. So if we look just at the sugar content alone per 100mls the innocent smoothie contains more sugar than the can of coke( 11.9g Vs 10.6g). More surprisingly still, a 40g portion of raisins contains 31g of sugar. To put this in perspective a Kids match box portion of 14g contains 10.9g of sugar. So smoothies are the worst, followed by the raisins and then the Coke? Well not necessarily. Whilst both the smoothie and raisin contain more sugar than coke they also contain essential minerals and vitamins which from an overall health point of view are beneficial. The Coke contains no such minerals and vitamins. So how confused are you now? The thing to remember is that nearly all food stuffs contain some proportion of sugar,be it present naturally like in the case of raisins or added like in the case of Coke. From a purely dental point of view, sugar is the catalyst for decay. Teeth don’t discriminate between whether sugar is natural or added.No sugar- No decay. Two more factors are critical in determining the rate of decay and they are frequency and time. In essence the more often you eat and the longer it stays in the mouth the higher the decay rate is going to be. All treats should be kept until the end of meal times. Salivary rate is highest after meal time. As a result sugars are broken down and moved out of the mouth quicker when compared to non-meal times. Frequent snacking and grazing is detrimental and results in increased decay rates. Everyone needs a treat from kids to adults but its about being aware. 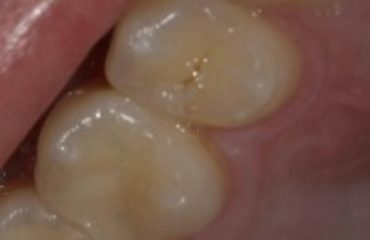 Follow these tips to help reduce decay rates. Treats only after main meals. Avoid treats that will stay in the mouth for a prolonged time, for example, chocolate is a much better option to lollipops. Chocolate melts quickly and is removed from the mouth in a short period of time. Lollipops are sucked on and release sugar over a prolonged period of time. Avoid treats that stick to teeth for the very same reason. Again chocolate is preferable to sticky and soft sugar sweets. Chocolate melts and is easily removed from the mouth. Sticky sweets stick to teeth and are slowly removed from the mouth all the while releasing sugar. Avoid fizzy drinks and excess juices, concentrates and smoothies. If any of theses are consumed it is a very good idea to drink either water or milk after to neutralise the Ph of the saliva. Avoid frequent snacking and grazing even on foods that are natural. Take the box of raisins above. While it seems like these are an ideal snack particularly for kids lunch boxes nothing could be further from the truth. Raisins are high in sugar. If the box is eaten slowly over the course of the day the teeth are under constant sugar attack. An apple is a better choice as it is eaten in one go as opposed to grazing over the course of an hour. It can be a minefield to try and figure out what is best for you and for parents deciding on what is best for their kids. Be more treat aware. Sugar is a hot topic at present and is being talked about more and more. Look at nutritional info and try and decide for yourself. If you are unsure about anything feel free to contact me via our website or Facebook page.